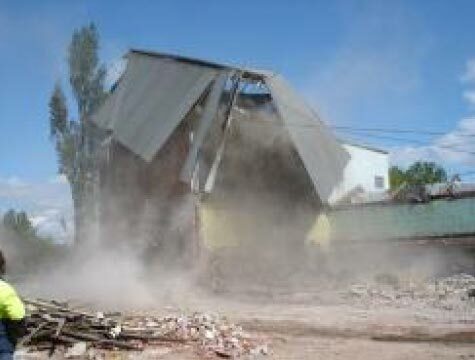 When you are looking for a demolition team in Ballarat, you can’t go past Calora Demolitions. Three generations of professional experience and knowledge ensures Calora knows how to get the job done. When doing any demolition job and throughout all aspects of our business, precision, accuracy and tidiness are paramount. Calora Pty Ltd is fully licensed, insured and accredited for your peace of mind on all projects. 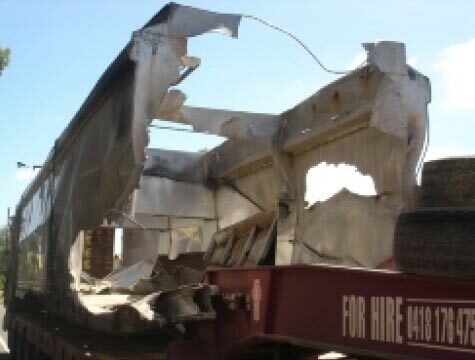 As Ballarat’s largest demolition business we also have a comprehensive range of services available, including asbestos removal, scrap metal removal, scrap metal baling and EPA contamination clean-ups in Ballarat. We are the local wrecker residents and business owners call when they need scrap metal taken away. 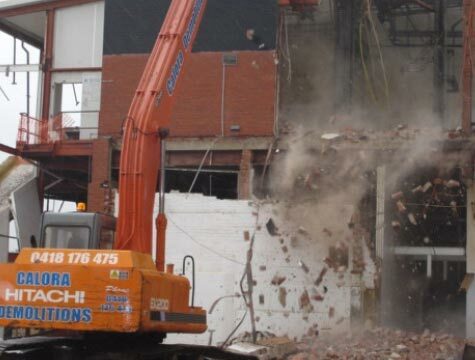 We demolish just about anything, for anyone, including commercial, residential and industrial clients. 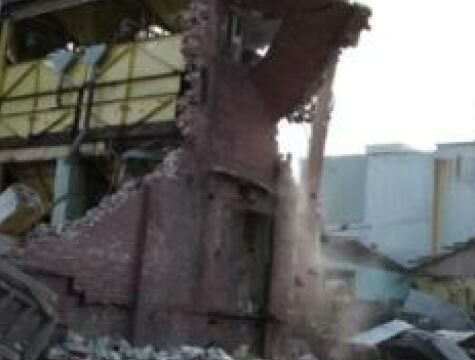 For experienced demolition services in Ballarat, you can’t go past Calora Demolitions. Calora Demolitions has an extensive fleet hire range on offer in Ballarat. From bobcat hire to excavator hire, bin hire and water truck hire – our machines and staff will ensure the job gets done on time and within budget! With a substantial fleet of vehicles on hand we can assist with all of your rigid and semi-rigid tipper hire requirements in Ballarat. Our float hire options are perfect for transporting skips, bobcats, excavators, tractors and much more. Float trucks are also useful for events in the region. Why don’t you call us and tell us about your project so we can dispatch the most appropriate equipment from our extensive fleet. With specialised equipment, trained staff and a passion for the environment, Calora Demolitions provides safe and efficient tree removal in Ballarat. Our tree services also include stump removal, stump grinding and mulch sales.